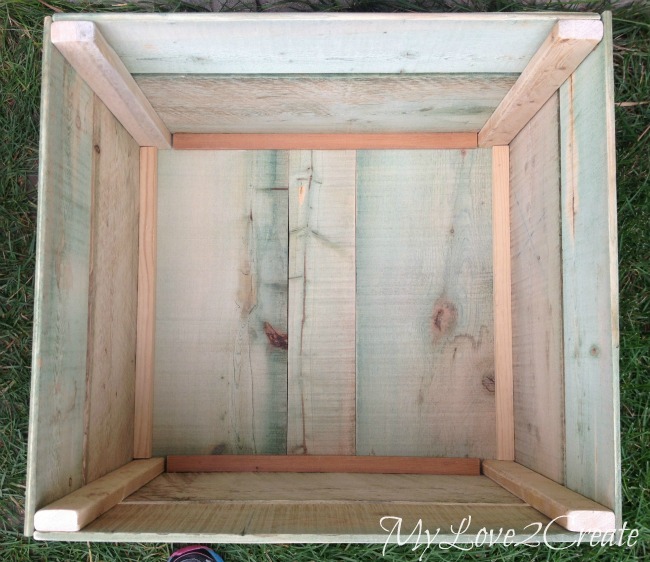 Last week I shared with you my collection of DIY Crates with a promise to share my large DIY Storage Crates, that I first shared on My Repurposed Life last fall. I have six kids...and with lots of kids come lots of toys...which up until now have been stored in old laundry soap plastic tubs. My problem was that the laundry tubs, although a great repurpose, were a little too small for some items. 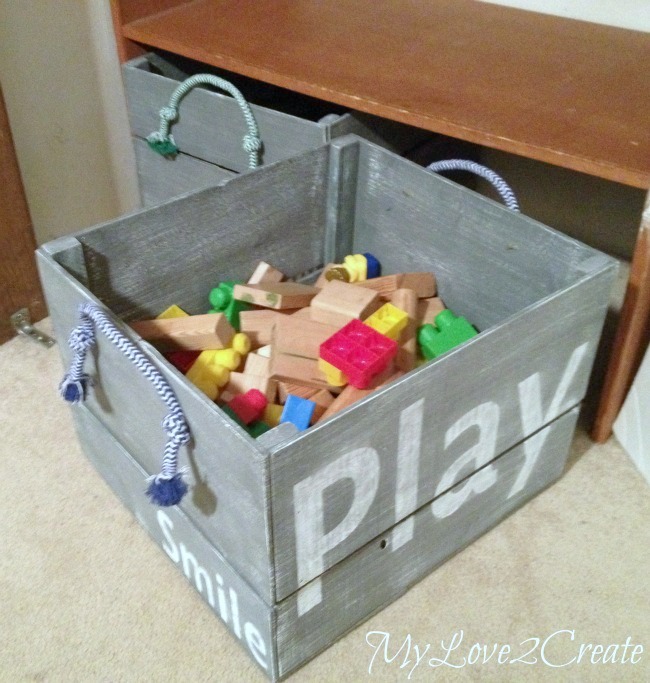 And who wants to have several tubs for blocks when you can store them all in one crate? I knew it was time to just build some large crates to fix my problem. This is a glimpse of where these babies first started...well at least from my house. This pile of awesome wood came from and old old nursery in Boulder, CO. Free reclaimed wood on Craig's list always catches my eye, and this is a small part of my reaping form that blessed day. I haven't even scratched the surface. I cut my 1x2 boards to the height I wanted the crate to be, and then the side boards to the width I needed. 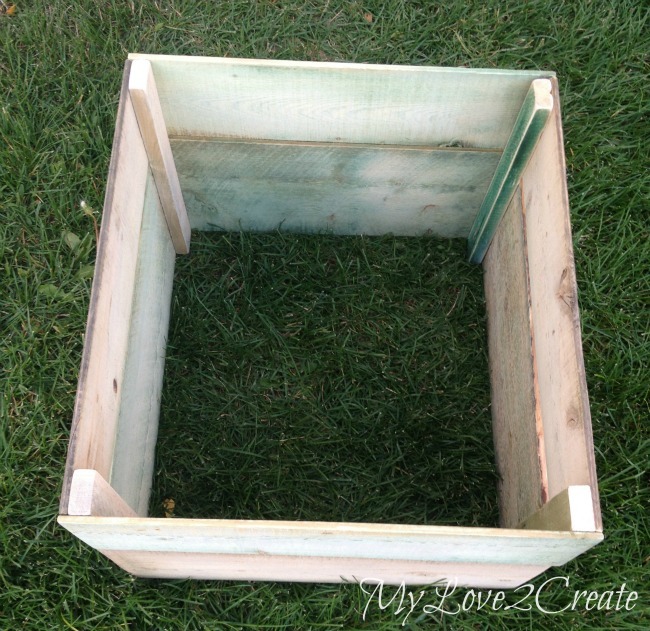 To fit the space my crate is almost square, two sides are 18 inches and two are 17 inches wide. With all the boards cut all I had to do was glue and nail them together. I added glue to the 1x2's and then nailed on the side boards with my Roybi air strike nailer. I choose to use a thick and thin board since both of them together were almost the same height as the 1x2's. 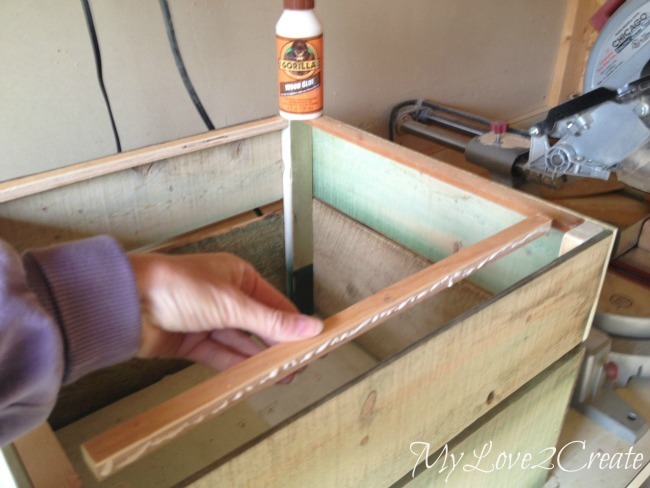 Glue is the most important thing, it is what will hold the crate together. 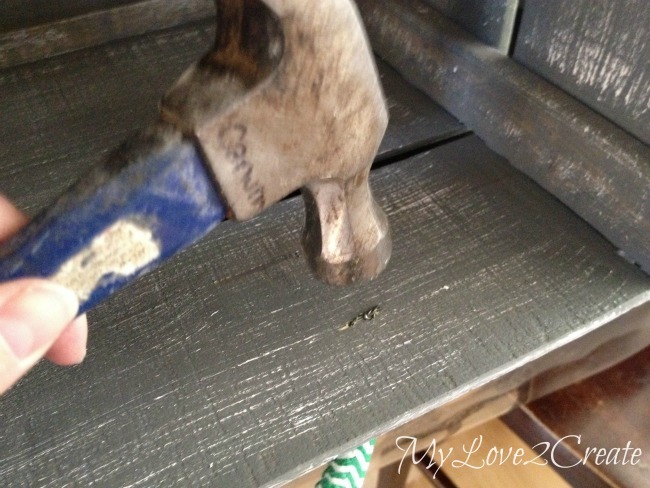 The nails are to secure it until the glue dries. 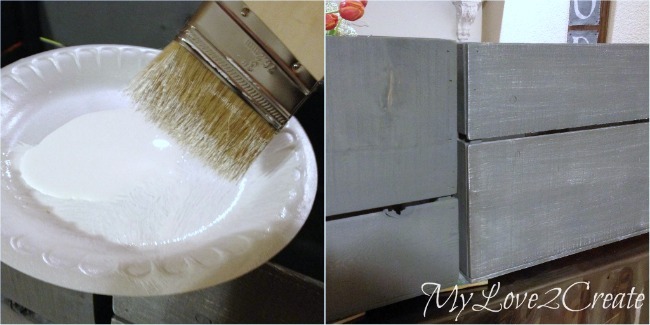 I love using Gorilla Wood Glue for a nice strong hold, and my kids love that it is called Gorilla Glue. With my sides attached to the 1x2's, you can see them standing in the back. I have them so you can see front and back, I made two for each crate. This wood was pretty rough and I sanded it really well after cutting the wood, for me it is easier to sand before I build. 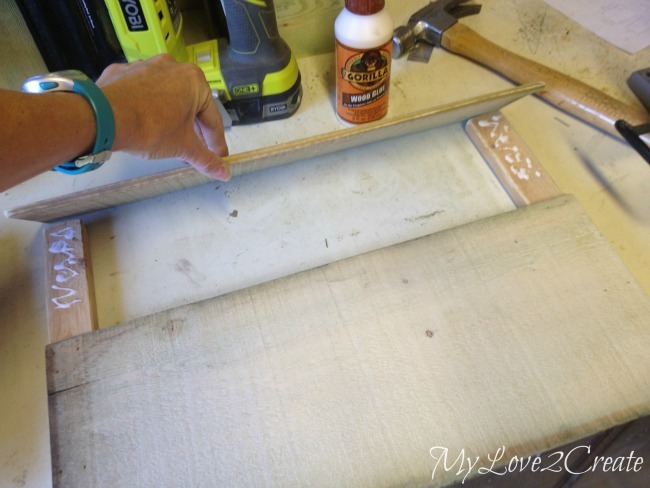 I stood up the two sides, and glued and nailed on the front and back boards. Which gave me two of these. Since I just figure things out as I go, I tried some wide and thin boards to see what worked best for the bottom of the crates. 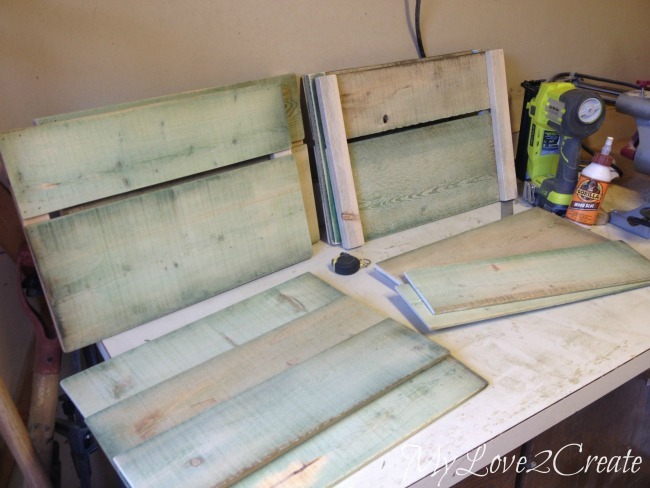 I ended up with two wide boards and a thin one for the middle that I am marking in the photo above to cut. Since I don't have a table saw (sigh) I used my miter saw. I cut one side and then flipped it around to cut the rest. I am sure you have noticed the thin wood I am working with, it is about a 1/4 inch thick or less, and because of this I added some scrap plywood strips for support and for a place to screw the bottom pieces into. I just glued and nailed them on. If I was paying attention I would have realized that these pieces that I was attaching should have gone on the other side. I had intended the short boards to be on the top of the crates. I had already done the damage when I realized it, and wasn't going to rip the boards off...That is why my crates are different. Maybe you didn't even notice... My brian was in la la land. Here is a shot of the inside. At this point I debated for about a week whether to leave them like this or paint/stain them. I asked my kids and they helped me decide. Stain it was. I used Rustoelum's Weathered Gray. I started with the insides, and then the outsides. This wood really soaked up the stain, and I used way more than I expected. 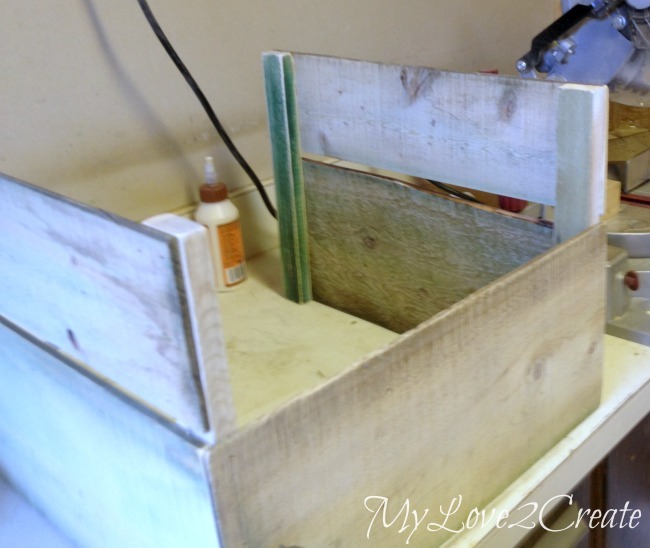 If you want to see it on a different type of wood you can check out my Old Deck Wood Laundry Crate, it worked better on the plywood. Because it soaked up the stain so much I didn't get as much wood grain showing as I wanted, and it looked kind of boring and gray. I figured that a little white paint might give it some dimension and help perk it up a little. I grabbed a large chip brush and some white acrylic paint and very lightly dabbed the ends of the brush into the paint. I wiped most of the paint off on the paper plate and then I did long light strokes onto the wood. You can see the one on the right in the photo above has the white and the one on the left doesn't. It made a HUGE difference! When I took the crate to my boys room to see how they fit I realized I made them about a half inch too tall for adding casters. Ugh! 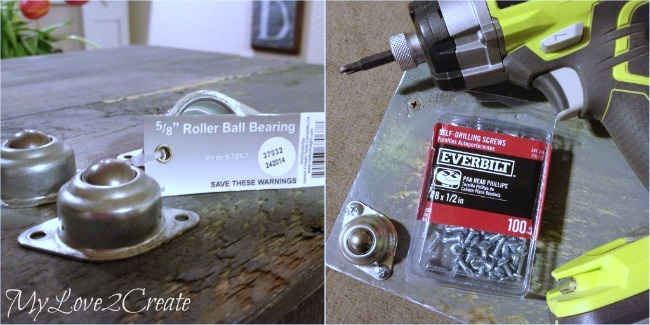 They actually slid on the carpet just fine, but I went ahead and bought these Roller Ball Bearing things that were only 5/8" tall which was perfect. Plus they were only 89 cents each a Harbor Freight. I had these self drilling screws from another project and I loved not having to pre drill my holes, I just zipped them right in! Next up were the handles. I had decided on regular rope handles, but at the last minute I spied my dog's chew toy rope and had an idea. I made a quick trip to the dollar store and bought two dog toy ropes (I am only showing one in the photo) which came to $2. I untied the knots and split each rope into two. Then I tide knots on the ends and frayed them, giving me 4 rope handles. I made a template to mark where to drill and then I drilled two small holes close together, making a total of 4 holes on each side. 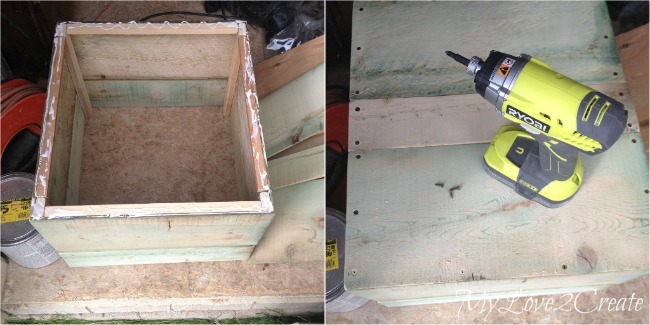 I drilled small holes because I was attaching the rope handles to the sides of the crate with wire. I put the wire through the holes securing the rope, then pulled them tightly from the inside with pliers, and then twisted them securely. I clipped off the excess wire, hammered it flat and then used hot glue to cover the exposed wire. That way I avoid snags and sharp wire hurting little hands. I thought about covering the wire with leather or felt, but decided to see how the hot glue worked first, and it has been fine! It was fun to try a different way to attach the handles, I think it looks cute, they are sturdy too. 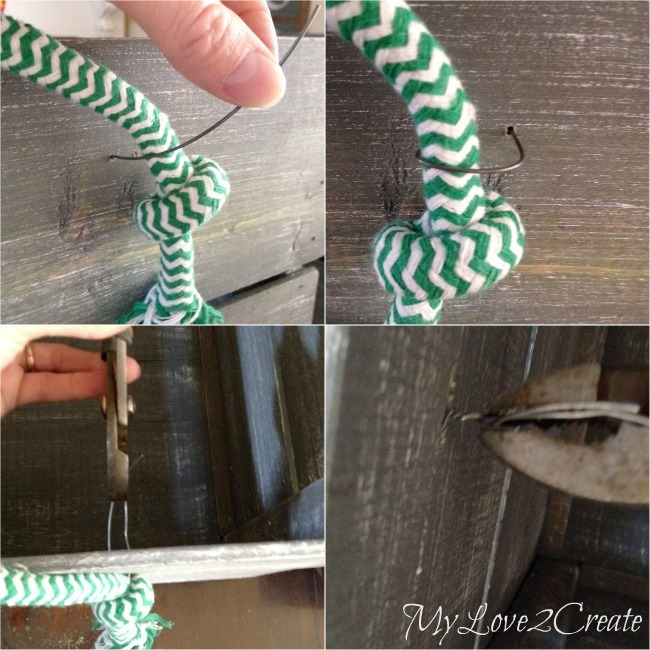 I love that I could have fun rope colors for the kids room by repurposing the dog toys. 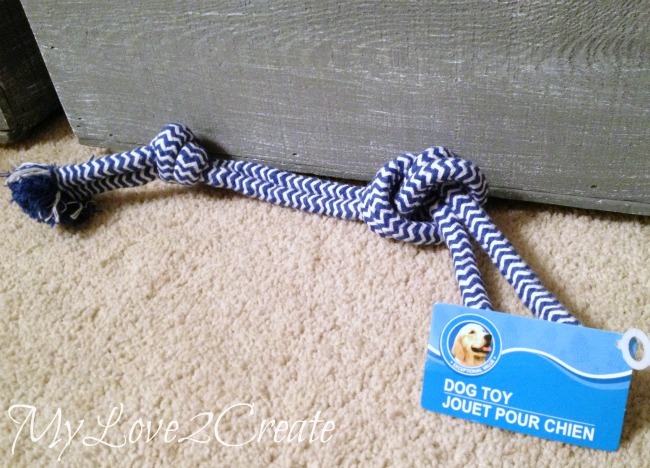 There are tons of different dog toy ropes in lots of colors at the dollar store, image the possibilities! I couldn't resist adding some words. Letters and numbers seem to make everything look better. I thought these were perfect for the contents involved. I cut them on contact paper with my cricut and very lightly stenciled them on. If you don't have a cutting machine you could free hand or use pencil transfer like I describe Here. And, as a mother, what harm is there in adding some subliminal messages as well? You won't see the words on the side where these are being stored, but who cares, you will be able to see them when they pull them out to play. Besides, I will eventually re-do their closet, and then maybe these will be used somewhere else. I think this way would be cute. Or tripping over light sabers and air guns. Speaking of being organized, I have been working on my tiny entryway closet to make it more effective and cute. If you follow me on Instagram you may have seen a before shot of when decided to take the plunge and just start! I am so glad I did because it is going to be awesome I can't wait to start using it! 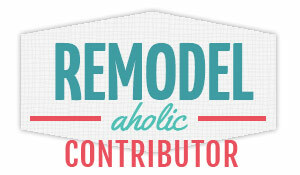 It was a pretty simple closet redo that anyone can do, so be sure and check back! Mindi, these are wonderful! I was thinking about you the other day because I may need to make some crates and/ or book storage. I went to your blog and started looking at some of your old post. :) The handles are genius and hilarious. Who would have thought?! Oh my goodness you are so talented!! I love these. I have two boys and their toys are a bit out of control. May have to go to Craigslist and look for some old reclaimed wood. Thanks so much for sharing with us at Talented Tuesdays. I hope you join us again next week. These are so fun, and I love that they are just made of leftover pieces. Great job! 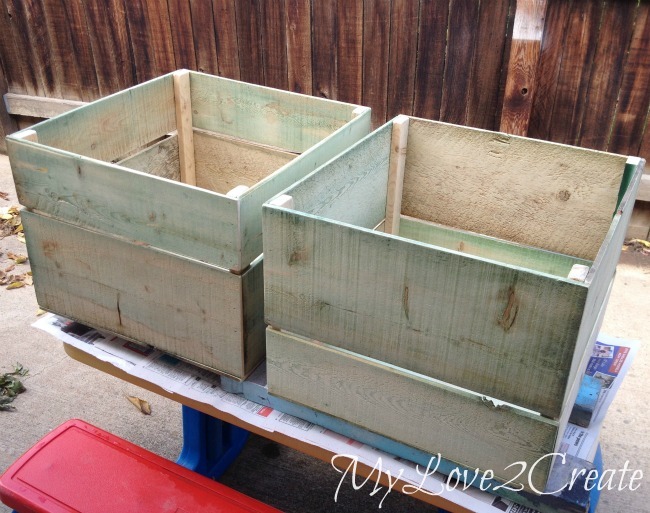 Perfect crates and a great tutorial. I really like the handles! Thanks for linking up! These are awesome and would look great in my son's room. Good tutorial too! These turned out GREAT! Thanks for sharing at Think & Make Thursday! love these! fantastic job and love that u used recali wood. tfs. These look awesome! Thank you for the tutorial. These are adorable and so useful. 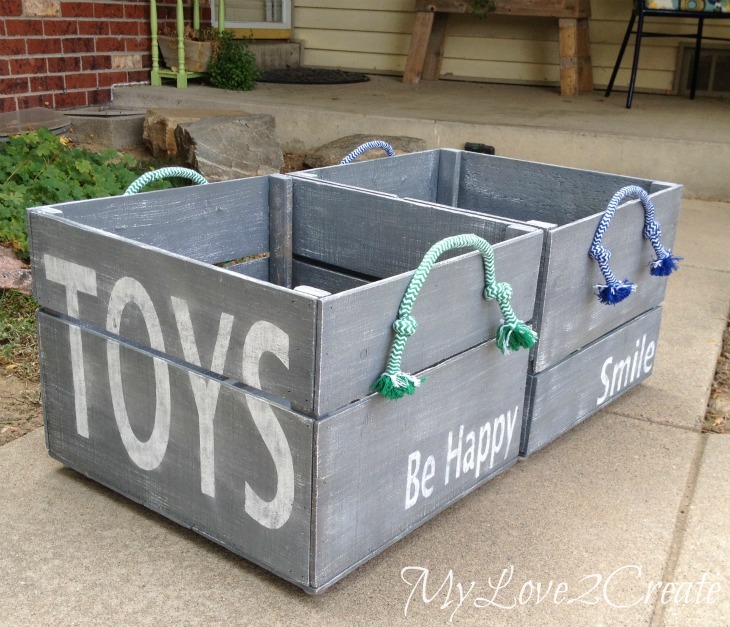 I love the added touch the handles give the crates. Thanks for the great tutorial. 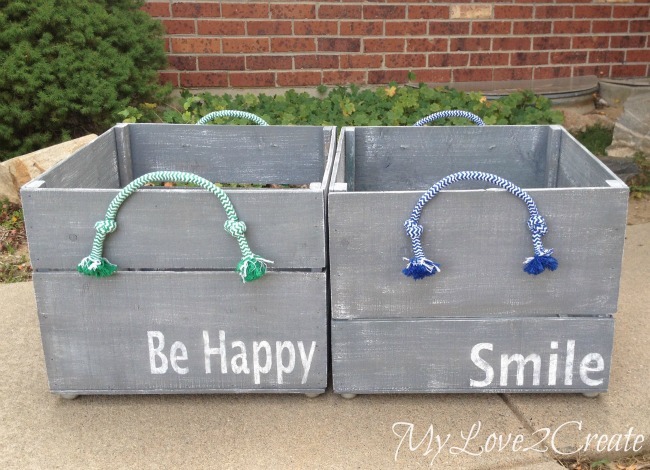 These are awesome Mindi! Great tutorial too. How lucky for you to get that wonderful stash of wood. Thank you for sharing at What We Accomplished Wednesdays. Have a great weekend! I love this!! Hey I would love for you to share your stuff on My 2 Favorite Things on Thursday Link Party!! It's still open!! These are amazing!! Found them on the Friday Flash Blog linky party. You should come link up with my Pins of the Week party that goes live tonight at 7! 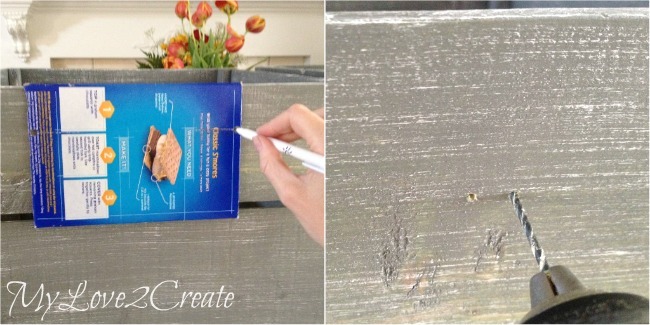 Thank you for linking up your great tutorial to "What to do Weekends" party. I'm sharing your crates on my Facebook fan page and Instagram now! Happy Sunday! OMG I love these! 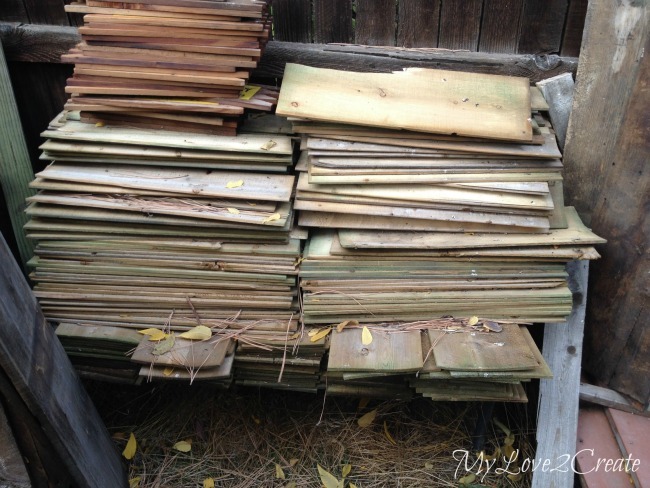 I am jealous of your thin wood scrap pile lol. 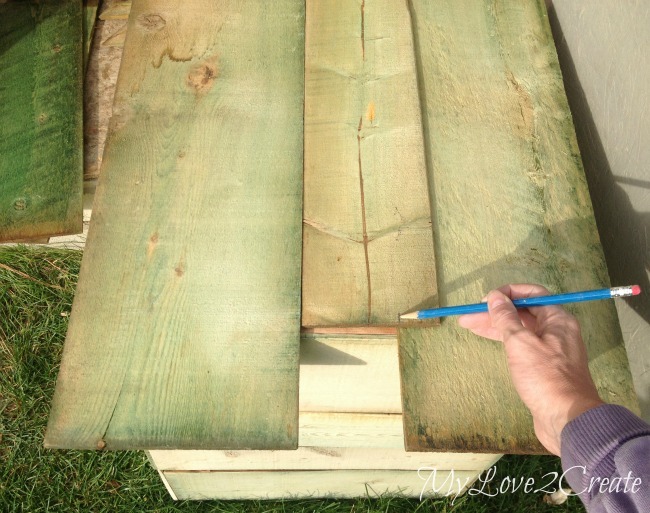 I love when I find really thin wood for projects! Thank you for sharing at Totally Terrific Tuesday! I hope you make it back this week because I cannot wait to see what you bring!! 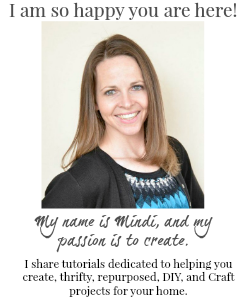 Have a wonderful week Mindi! 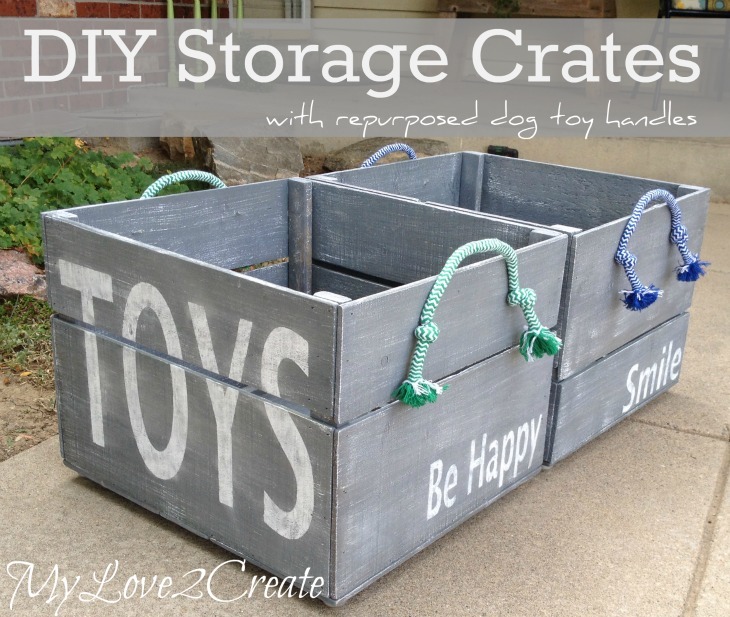 What a wonderful tutorial on making the storage crates, they came out awesome. Thank you for sharing with the Clever Chicks Blog Hop! I hope you’ll join us again next week! I love everything you create. I swear. 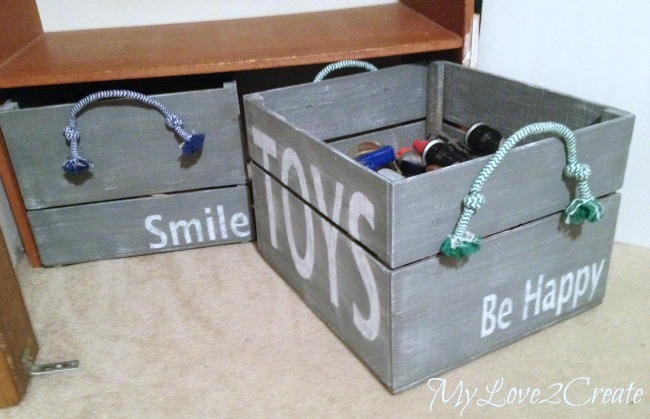 These crates are so cute and could be used for so many things! Thanks for sharing with SYC. 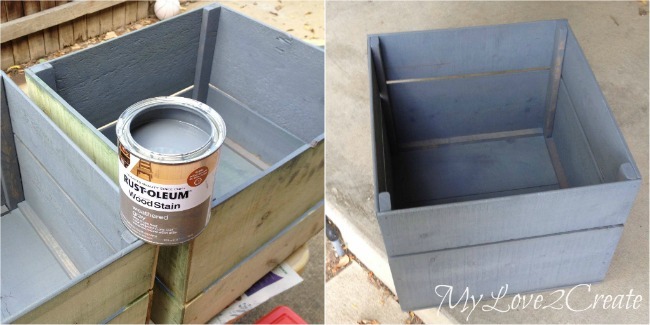 Very impressive repurpose project! 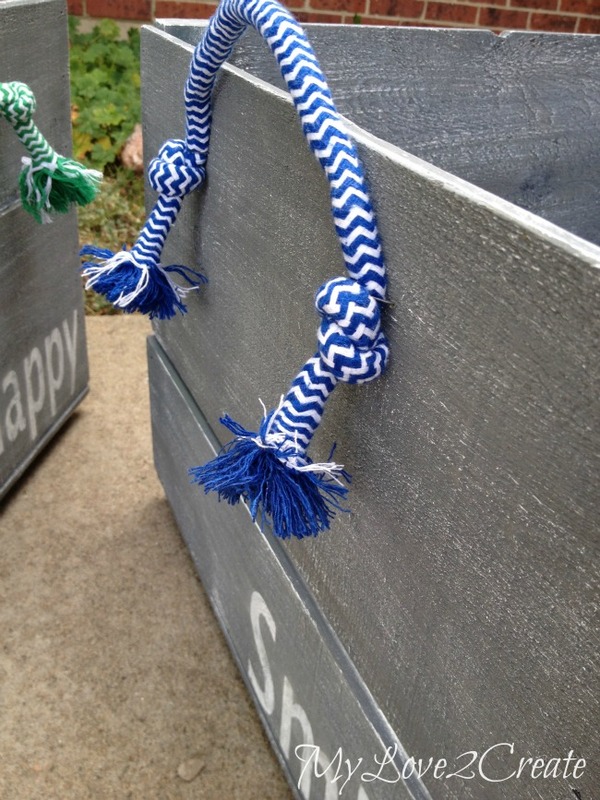 I love everything about it, especially those dog toy handles, very clever! Pinned it. My daughter has 5 children, the 5th one was finally a girl so I can envision all the toys you must have. So glad you shared with us at Merry Monday. Please be sure to come back Monday for the new party! Such a great idea! 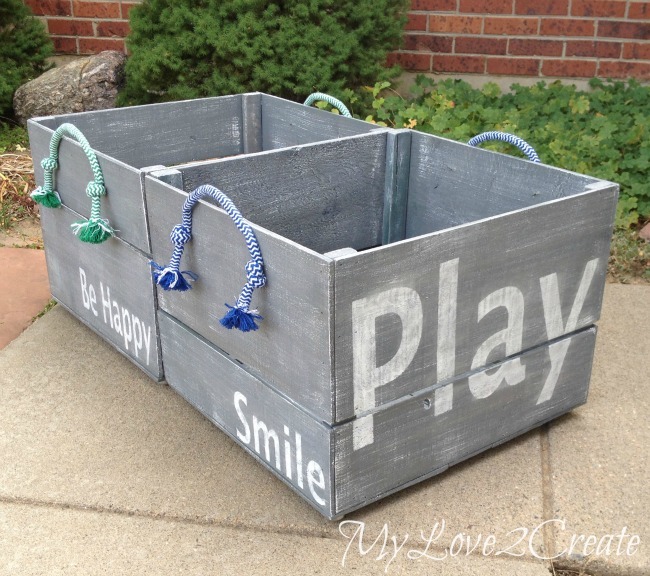 Thanks for linking up with the Creative Spark Link Party! 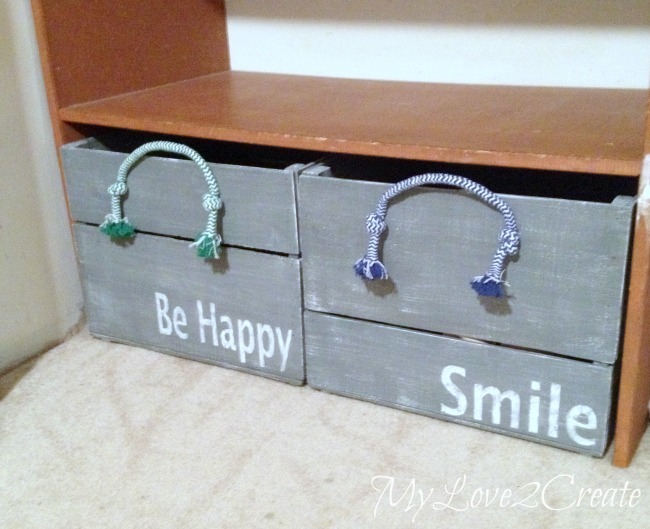 You can never have enough storage and those are so cute! I'm featuring them tomorrow in my Friday Features... thanks for linking up to Inspire Me Monday. Love these so much! I am featuring them tonight on Merry Monday at 9pm EST. Congrats and hope you can join us again this week! Thanks so much for linking. 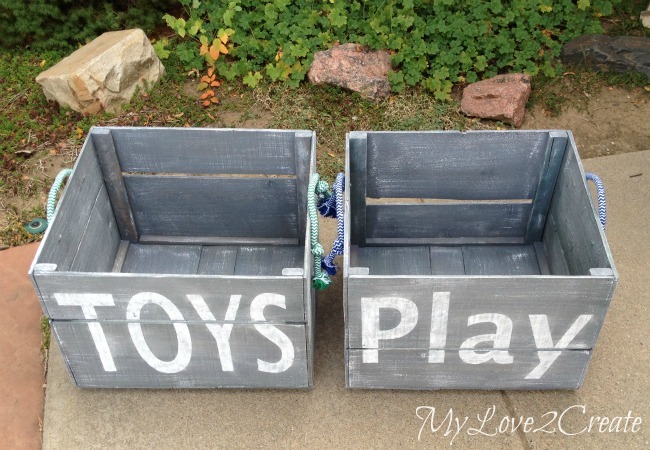 LOVE these crates! They are super cute and would go great in my son's room. Pinned it! Thanks for sharing! So creative!! I love how you came up with this all by yourself! I can re-create things, but I can not come up with them!! Could you share more on how you made the stencils with contact paper? THis sounds very interesting! Love the boxes! I'm hoping to make some for our basement playroom. I have 6 kids and like 6000 buckets of toys! Can you tell me how tall your crate is? I can't tell which size boards you used to construct and the overall height. Thanks.